When you look at the whole of biblical prophecy, you begin to see how North America is hardly even mentioned. It all centers around Israel, God’s timepiece for the end of days, and just as the prophets wrote, the holy land, that tiny little precious strip in center of the world, has captured the whole world’s attention. Just look at the rising anticipation for this nuclear standoff between Israel and Iran, which now has Russia and China preparing for war against Israel and her big brother, the US, who’s already lining up aircraft carriers near the Strait of Hormuz in response to Iran’s threat to close off their critical oil route for showing Israel military support. So, don’t go waving your lighters just yet. If you thought that this was going to be the generation of peace, then maybe it’s time to mute your iPod. This is how it always begins, a classic case of ‘one thing led to another’. World War 1 was sparked by the assassination of Archduke Franz Ferdinand of Austria-Hungary, and World War 2 broke loose all because of Hitler’s invasion of Poland in an attempt to expand his empire. And now, because of a religious conflict over the possession of the holy city of Jerusalem, the last great war this world will ever know is about to commence right on schedule. The other day, I went out for a quick lunch and sat to watch a crowd of pigeons pecking at scraps on the ground while I ate. I spent 10 minutes or so throwing them breadcrumbs and watching them nibble out of the palm of my hand until, all at once, they took flight together like one body and sailed around the sky in unison. Not a single pigeon went astray or left the flock’s pattern. It was almost unreal to see them so perfectly uniformed together, and it forced me to wonder about how God went about designing their migratory patterns in such a way that each and every one of them is carefully tuned to the same distinctive purpose as the rest of its kind. You might find this hard to believe, but birds actually play a vital role in the last days, even in the war that we’re about to witness in the Middle East. In fact, Israel is the bird migration capital of the world. During the Spring and Fall migrations, the skies over Israel become home to billions of birds, over 30 species of which are raptors, which feast on dead flesh. Statistics are now showing that these numbers have been accumulating rapidly over the past decade. An interesting note on this was brought to my attention by a traveling minister named Joseph Morris who was talking about an ornithologist who recorded what she called ‘the largest gathering of predatory birds in history’. A couple years ago, 172 different kinds of birds of prey suddenly migrated to, guess where, Jerusalem. This forces bird watchers and experts around the world to reexamine the cause of this unprecedented influx and wonder if possibly the holy land itself has something to do with it. I’m sure it can be explained in a perfectly rational way to the secular-minded, but if we are to look to God for the truth, it is written in Revelation 19:17-18 that after this great war in the Middle East, when the great armies surrounding Israel have been vanquished by an act of God, the birds of the air are called forth to dine on the bodies of the millions of soldiers who lay in mounds too vast to dispose of by hand. Already, we can see the buzzards, the eagles, the hawks, the vultures, the harriers, the hobbies, the kestrels, the falcons and all the other hundreds of kinds of predatory birds lining themselves up in the holy land to devour those unfortunate soldiers who are right now packing their gear in preparation for battle against Jerusalem. With little doubt that we are currently living in these prophesied last days, I raise the question, who’s army is this that is going to suffer the wrath of God and become a sacrificial feast for the fowl? Revelation 9:16 gives a little clue when John says, “The number of the mounted troops was two hundred million. I heard their number.” Interestingly enough, the only army in the world currently capable of amounting an army of this size is the People’s Liberation Army of China, which currently has precisely 318,265,016 men fit for military service. Could these numbers be the same as John saw in his vision? The Islamic regime in Iran counts on Russia and China for military support through its tight relations. If this war breaks out, China stands the most to lose, because it holds billions of dollars in contracts with Iran and is said to have more than 11,000 contractors stationed there. Sadly, it seems the glass slipper is a perfect fit. Since the one-child policy in China, where abortions were enforced on any mother who had more than one baby in order to control rapid overpopulation, families were pressured to have a male child under their one-child limit, because males are traditionally seen as an ‘asset’ to the family that can earn and provide, but a female is often seen as a ‘liability’, seeing as she will most likely be married off to another family and contribute nothing financially, and thus, gender imbalance slowly plagued the nation. They say that by 2020, 24 million Chinese men of marrying age could end up without a spouse. This rigid imbalance has resulted in a nation packed full of testosterone-driven single men ready and fueled for war and could very well be the thing leading them into a prophetic bloodbath by the millions. Revelation 13:2 mentions how the Dragon, or Satan, gives these military forces their power. In Chinese astrology, the dragon symbolizes dominance, passion, ambition and a quick temper, all very masculine traits, so it’s interesting to see that, as of January 23rd, we will be kicking off the Year of the Dragon just as the Chinese army prepares to assist Iran’s conquest of Israel. 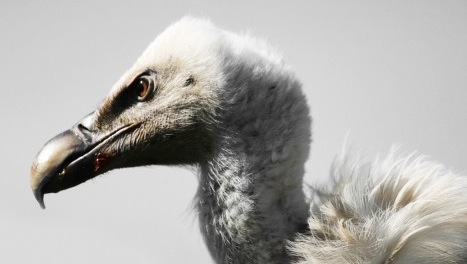 Back in 1994, a group of scientists working with the Jerusalem Biblical Zoo set up a program called ‘Spreading Wings’ that helps resuscitate the vulture population under optimal mating conditions and has set up 20 feeding and nesting stations across the country. Vultures are not repulsive and dreaded in the eyes of Israel, because God has fated these carrion-eating birds to the massive cleanup of the dead prophesied in their scripture. “Israel sits on the junction of three continents”, says Dr Yossi Leshem, director of Israel’s International Centre for the Study of Bird Migration. “Politically, it’s a disaster, but for bird migration, it’s heaven.” Little did the descendants of Abraham know when God gave them the land of Israel that it was situated in the heart of the ancient world and would soon bridge every great kingdom of Asia, Africa and Europe, placing the Jews in a position of extreme political importance so that they could triumph as a small but blessed people. However, God made it so that this this same advantage, in time, would become their curse as the surrounding nations would turn to devour them in the last days. The increase in the migratory activity of predatory birds assembling for their great feast is yet another sign that the God of Israel is on the verge of declaring the fulfillment of His promise to defend Israel in the heat of their enemies and remind His people once more of His glory. It’s a sign that the hour has come for the time of Jacob’s trouble as spoken of in Jeremiah 30:7 and the start of the final seven years of this world. The world has now welcomed in 2012 with ignorance and notions of the coming apocalypse misled by popular media, and now, for the second New Year’s Eve in a row, thousands of birds mysteriously dropped dead in a small Arkansas town, continuing a fulfillment of the prophecy in Hosea 4:1-3. All things on earth, even the birds, have been appointed by God to a much larger, divine purpose and can be regarded as universal time-tellers. With everyone’s attention fixated on the end of the ancient Mayan calendar, many of the most highly anticipated events of the Bible are going to slide right under everyone’s nose. I only pray that God shed mercy on those soldiers who are blindly being led to their demise, and on the nation of Israel, which braces for its darkest hour in history.